Here are a few photographs of the Chande Orphanage, taken by one of the many mission teams from the Inglewood Baptist Church in Grand Prairie, TX. Click the first thumbnail to begin viewing the photos at full size, or view as a slideshow. Thank you so much for your prayers for our team that went to Zambia and Congo from September 27 to October 8. Below is a brief summary of how we saw the Lord work. We saw your prayers answered as we went through customs and immigration: We had the privilege of seeing how your prayers were answered as we made it through immigration and customs at the Zambia/Congo borders with no problems both going into Congo and returning to Zambia in less than an hour. There were over 250 eighteen-wheel trucks backed up awaiting permission to get through the border. We made it through in less than an hour each way. Considering we were walking through what is called “no man’s land” we really sensed your prayers. This was above and beyond even our imagination to move through the confusion of so many people waiting with no difficulty. We saw your prayers answered as we saw people responding to the gospel: We had the privilege of seeing over 260 people come to Christ. We saw one new church started while we were there as well as heard the report that the number of new churches in Southern Congo had grown in number. 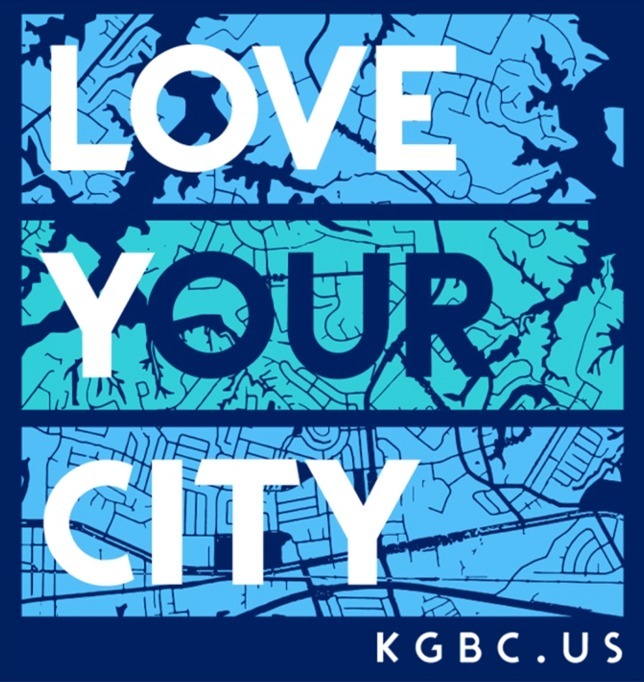 When I wrote to you before going, I reported that there were 28 new churches there. However, we found instead the number had grown to 34. We saw church leaders committed to reach out to unreached areas and start ten more new churches this year. We traveled about three hours north of Lubumbashi as we traveled in a van to see a new church and got to preach to that church. We also preached in 5 churches in the Lubumbashi area. We saw your prayers answered as we taught: Each day, we got to teach about 25 men and ladies who were excited to receive all that we shared with them. After teaching 8 or more hours a day, they were always eager for more. Thanks again from each of our team members (Pastor Shawn Barnard, Chris Zink, Jim Potts, and Ed Miller). There is much to be said in the upcoming posts simply because it cannot all be said now. For those of you who have had the privilege of engaging in missions, especially in 3rd world countries, there is always much to be processed. One thing that I’ve learned, after my sixth trip to Africa, is that no trip is ever routine. It is never mundane, or typical. It is always unique. If you listen, and go with eyes-wide-open, and your heart equally receptive, there is much you will learn; and question; and chew on; and cry over; and be changed by it all. People often ask me, “How was it? Tell me all about it.” And I try. But there are no words that could ever adequately describe the experience. You just have to go . . . and quite honestly, you should. Maybe not to Africa, but somewhere. Whether it’s in a third-world country or across the street visiting with a neighbor, the location of your mission engagement is not what makes the experience indescribable. It’s the activity of God in that place that makes the experience impossible to put into words. Wherever it is, you should go. And the reason you should go is because, as Christ-followers, we are called to do so. It really isn’t an option if obedience is the desire of your heart. For the past five years, I have had the privilege of spending time in Zambia, Africa. My heart, it seems, is drawn there. As a matter of fact, I often tell people that my second home is Zambia . . . and I mean it. I can’t put my finger on why, but my heart is wrapped around the people; and what God is doing there resonates deeply within me. Perhaps it’s working with orphans at the Chande Orphanage in Ndeke township. I’m not certain of all the details of Heaven, but it seems that God gives me a glimpse and a taste of what it might be like when I walk into a room of 260 children who are singing “Here I Am to Worship,” and they are smiling and singing with angelic voices like they truly mean it. For me, the take-away is this: Everyday should be lived with such surrender. It’s impossible to cling to that which steals our affections when we come to Jesus with both hands open, and lifted high. So, here’s to living today with open hands, lifted high, so that we might embrace the one who is worthy of our surrender. Charles and I are very proud to be Christians and members of Inglewood Baptist Church, Grand Prairie, Texas – a church with a vision for missions. 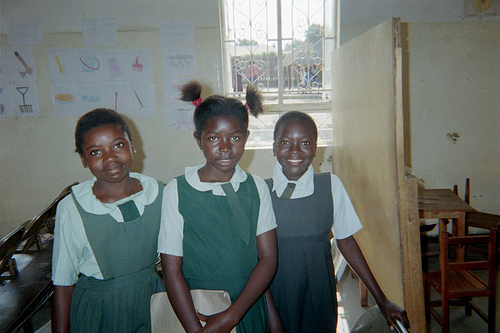 In 2006, when we decided to go to Zambia we knew we would see things Ed and Linda Miller and the 2005 IBC Team had described but we didn’t know the eagerness of the people to learn about Jesus nor the severity of the poverty. We always heard that God doesn’t call the equipped but that He equips the called. We are not teachers, but we do know that God held us in His arms and that He stood by us during these two mission trips and gave us courage to speak His word. It didn’t seem to matter to those precious children that we had a funny accent. What mattered was that we were all there to love them and to share about Jesus. We were thrilled that 77 made professions of faith in 2006 after Holiday Bible School and 103 in 2007. We declare and establish this statement of faith to preserve and secure the principles of our aims and objectives in line with the statement of faith and belief as is common among Baptist churches. Our Structure: We hereby do believe that, having been led by the Holy Spirit of God to join together in our work, we believe that: Chande Baptist Orphanage shall run as an indigenous body. There shall be no authority to be imposed by any church or organization but that all cooperating partners will have equal vote. All scripture is given by inspiration of God, and that the Bible is the only authority in the governing and exercising of our life and the orphanage ministry. We believe that there is but one God. We believe that, He is the maker, the keeper, and ruler of all things. We believe that He is perfect God and to Him all people owe their highest love and obedience. We believe that God is revealed to us through the father, Son, and the Holy Spirit. Each person of the trinity has a distinct personality, but there is no division of purpose. We believe that, salvation is a change of heart, brought about by the conviction of the Holy Spirit, and that salvation is a work of God’s free grace. We believe that baptism is an ordinance of the church of the Lord Jesus Christ. We believe that it is of every believer wherein he is immersed in the water in the name of the Father, the Son, and the Holy Spirit. In light of the foregoing statements of faith: The Chande Baptist Orphanage shall endeavor to take care of orphans and street kids who are in need, by providing shelter, food, education and medical care. Such children will have to be approved by the management that they are orphans and are in dire need of assistance. 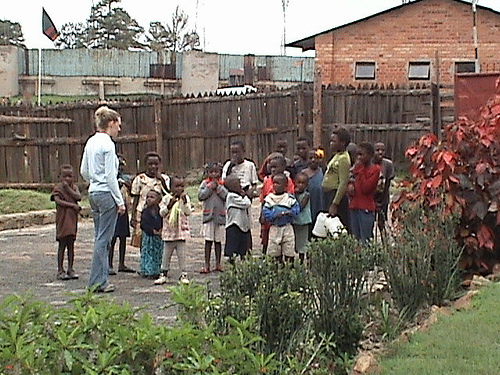 Any orphan or street kid regardless of race, religion or creed as long as they meet the conditions of the Social Welfare Department in the republic of Zambia and those of Chande Baptist Orphanage and its cooperating partners will be enrolled in the orphanage if and when a place is available and that he/ she is not over the age of sixteen. James 1:27, Religion that God our Father accepts as pure and faultless is to look after orphans and widows in their distress and keep oneself from being polluted by the world. The Chande Baptist Orphanage will work with other cooperating partners of the same and alike faith from within and outside of the republic of Zambia. 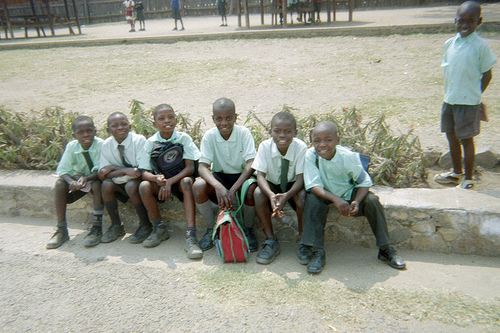 Chande Baptist Orphanage will be eligible to engage expert personnel from within and outside Zambia. Since we have been created in Christ Jesus, we shall endeavor to maintain pure worship of our God and fellowship with one another in love, by performing the above beliefs and tasks. And that every partnering Church/Organization shall be led by their Pastor/Leader. And each church shall appoint such people as they deem fit to serve on the International Chande Board. How many children need sponsors? There are more than 176 children in the orphanage. What does $30 a month cover? Education, food, clothing, and medical. $30 can’t cover everything, but is the amount suggested by Rev. Chanda. Supporters are welcome to give more as they feel led. Chande Orphanage is set up as a trust – why is this important? 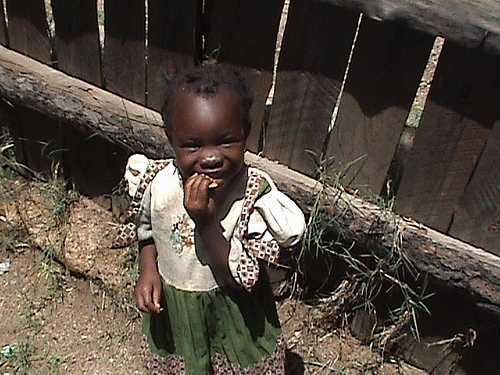 The orphanage is registered as a trust with the Zambian government which protects it by Zambian law. No individual can take it over as their own individual property and it protects the church in case a church has a split or has future leaders that do not agree. This way, no one can change its purpose to something else. Being a “trust” gives the right for the organization to not only be recognized by the government, but also is necessary for tax exemption. The Orphanage has a certificate of registration, as well as being incorporated as a non-profit trust and is governed by a Board of Trustees. Rev. Patrick Chanda and Edward Miller are two of the board members. The Millers have known Rev. 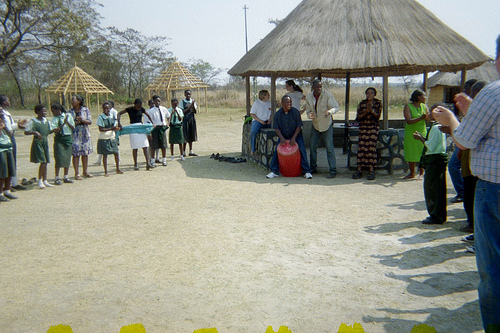 Chanda since January 1979, their first week in Zambia and fully support this ministry and have complete trust in him.